Window blinds are sometimes (actually, frequently) selected by home owners as an afterthought. Bland-looking blinds may keep the sun outside and maintain privacy inside, but the lack of a positive visual appeal makes them underwhelming. Why overlook any decorative aspect to a home? 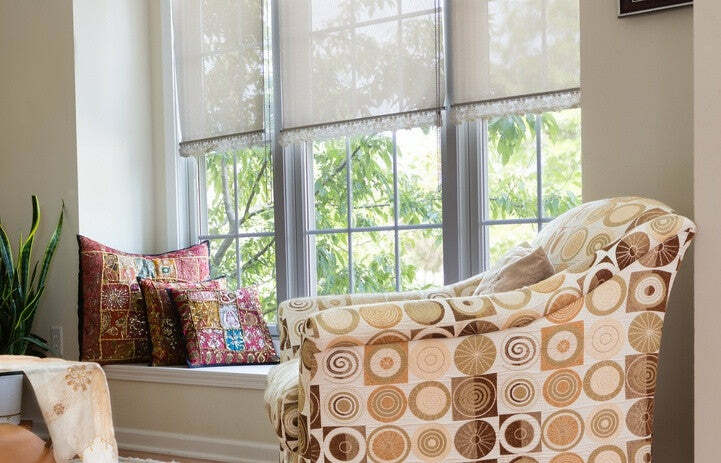 Even the inclusion of simple patterned blinds could change the look, style, and feel of an interior for the better. With Shabby Chic styles, even more options are available to those who want to add stylish touches to any room. Shabby Chic is a totally original concept that puts an ironic spin on traditional fashion and décor sensibilities. With Shabby Chic, the old, weathered, and "beat up" look is intended to beautify an interior. A Shabby Chic version of patterned blinds may be very atypical of what one would expect to see in a traditional home. The patterns may be a bit retro in nature and the colours in the patterns might even be faded. The fades could be uneven with some areas in the patterns being relatively bright and others heavily faded. Scratches may even adorn the blinds. The word shabby is appropriate, but so is the word artistic if the right guiding hand created the patterns. Why does this decorative style of window blinds work so well? The shabbiness is controlled shabbiness. The shabby look is not arrived at through neglect. The careful hand of a skilled designer created the weathered look. An apt description of the Shabby Chic style would be that the look reflects a "controlled shabbiness". In other words, the aged look has been carefully crafted to turn weathered blinds into positive contributors to décor. At the very least, shabby, 'old-time' floral blinds are unique. Going with standard, traditional blinds is not a bad plan but it can be an underwhelming one. Those wishing to turn the look of a room into something different should think about trying more experimental styles such as Shabby Chic. A complete makeover of an interior isn't even necessary. The window blinds could be accompanied by a little "shabby" furniture. The entire room does not have to be completely changed. Incorporating a few elements of this innovative design style into a room may be considered a test run. If the new look works, more shabby items can be added. Or, perhaps, a minimal Shabby Chic presence may deliver a fantastic new look that is bang on-trend. Capturing artistry and uniqueness is not the only valuable component to this style. Another benefit to the Shabby Chic style is simplicity. Simplicity in the weathered and worn designs ensures the blinds can fit into virtually any room and its pre-existing overall style. 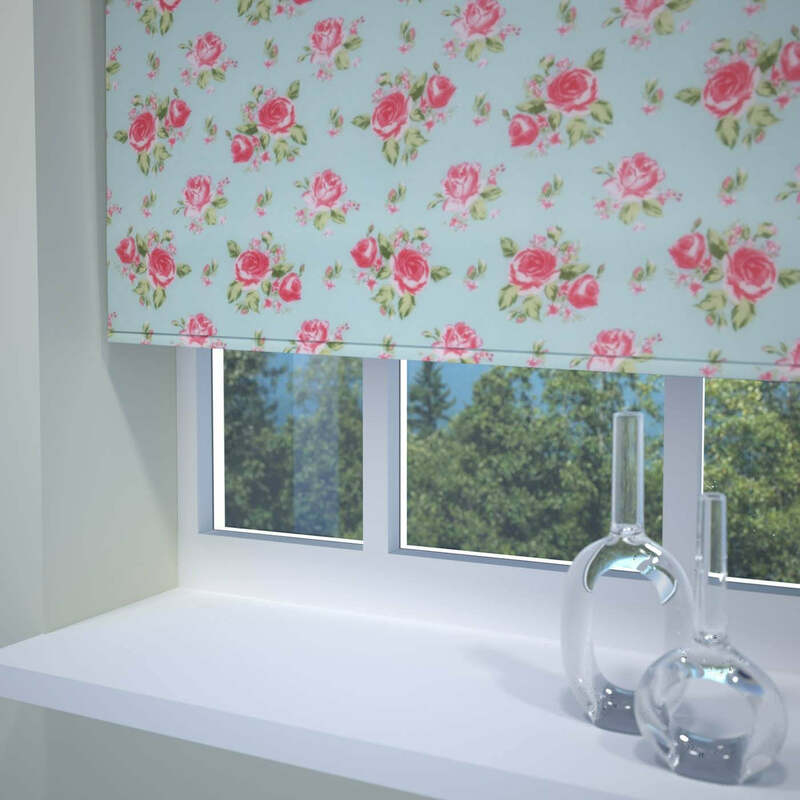 As long as the patterned or floral blinds mesh well with the colours in the room, they will make a practical and stylish addition. Really, there is a lot of flexibility to Shabby Chic, so why not take advantage of this fabulous style in your home, starting with patterned window blinds.